3D printing has changed the world in quite a few aspects, but I think we all should pay more attention to its advances within the medical world. Some of the things that this technology can do will blow your mind, and it could potentially save your life, too. Patient-specific cases require entirely unique parts and apparatuses to be manufactured, and 3D printing is pretty reliable when it comes down to creating accurate pieces. One case in particular sticks out in my mind. Within the last couple years, an 83-year-old Belgian woman was dealing with a serious infection in her lower jaw. 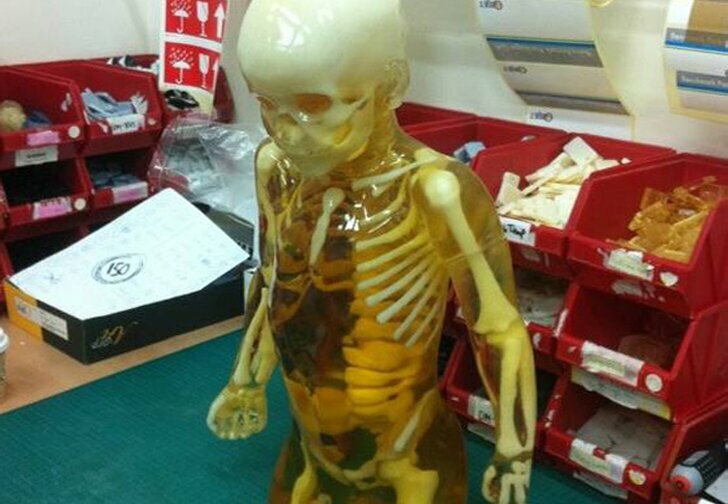 Doctors concluded that it needed to be removed. She needed a transplant. For this woman to be able to chew, talk, and breathe – a new jaw was required. 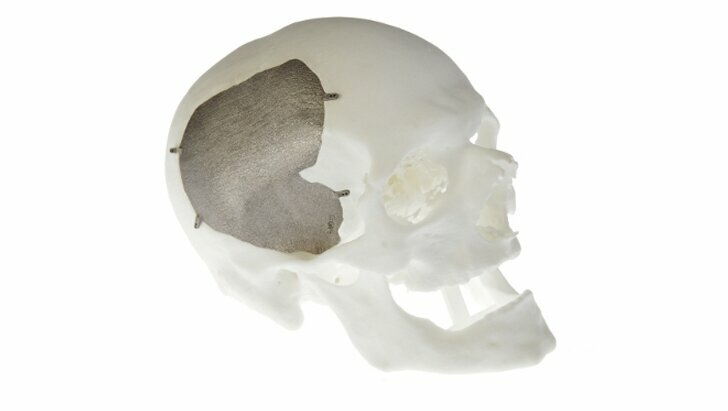 Thanks to direct metal laser sintering (DMLS) by Materialise, doctors were able to manufacture a titanium implant weighing in at just 107 grams. The final piece was treated, polished, and coated with “artificial bone” and then implanted. Quite a few medical situations require entirely unique parts, systems, and surgeries. A uniform “small” or “medium” sized apparatus won’t cut it when it comes to certain individuals. Emma Lavelle is a perfect example of this. Emma suffers from arthrogryposis multiplex congenital (AMC), a condition which causes stiff joints and very underdeveloped muscles. At an AMC conference, Emma’s mother learned about the WREX, an apparatus which empowers children with AMC to move their limbs. Unfortunately, the WREX is typically manufactured through CNC cutting, which simply couldn’t make parts which were small enough, detailed enough, and light enough for Emma to use. This is where 3D printing comes into play. 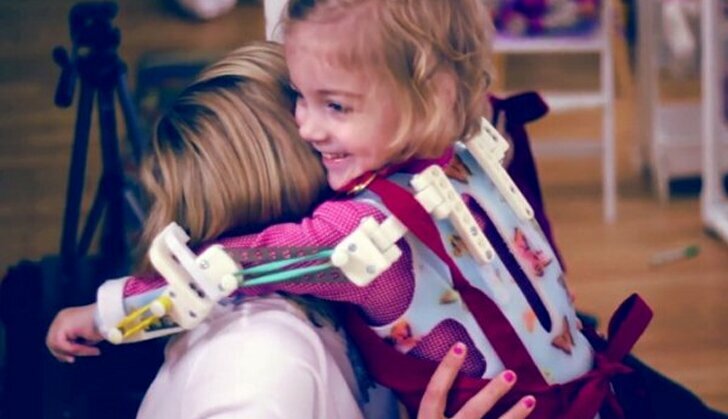 Through a Stratasys 3D printer and ABS plastic, Emma was given an entirely unique apparatus which helps her to move her arms. Emma needed everything custom – and 3D printing was there to show for it. Losing a limb has to be a frustrating experience and I have quite a bit of respect for people that have to deal with those medical predicaments. Fortunately, doctors and engineers are always working to make these situations better, and they have definitely helped out the world of prosthetic limbs through 3D printing. 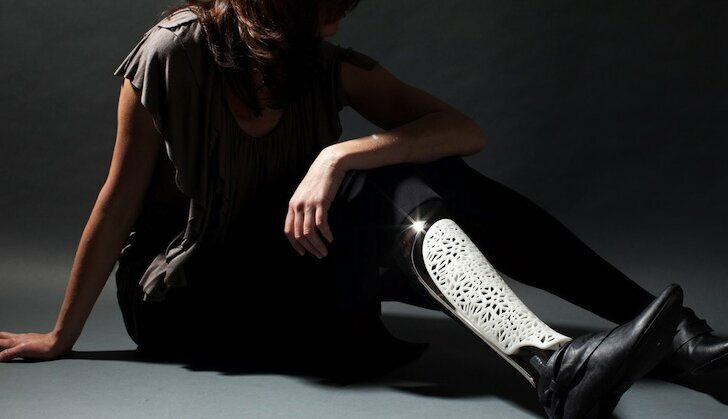 Through 3D printing, doctors and engineers have introduced entirely unique (and stylish) prosthetic limbs. If you’ve ever been limited to a cane, wheelchair, or a pair of crutches for a long period of time, your “device” becomes a part of you, in a way. Why not make it stylish? Some patients have friends and family write on casts. Some put stickers on their wheelchairs. Many carve into canes & paint parts of crutches. 3D printing helped the above patient to do one better. Anthony Atala and his team at Wake Forest Institute for Regenerative Medicine have been doing something pretty incredible. They have been working on organ replication! Atala has helped to produce functional bladders, blood vessels, skin, and other body parts. There have been several implanted bladders so far, and his team is working hard to keep pressing the envelope for organ replication, all through 3D printing. Although this technology is still in the research and testing phase, it shows quite a bit of promise. This could be hypothetical, but what if we didn’t have to worry about organ failure? Perhaps visionaries like Anthony Atala will use 3D printing to bring us there. In Belgium, a patient was suffering with a defect leaving him with just soft tissue and bone on his face. To fight his medical predicament, a full face transplant was necessary. 3D printing was one of the key factors with the world’s 19th face transplant. 3D printing is great on the individual level for making entirely unique and custom pieces – here is a prime example. 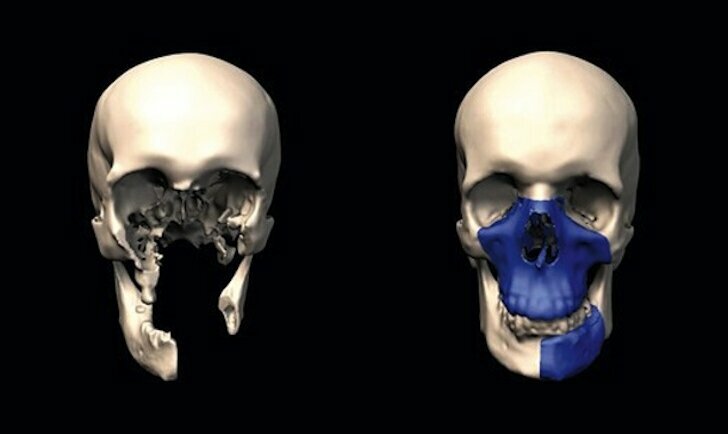 For this facial transplant, patient-specific cutting guides and models were 3D printed at Materialise in Belgium. Through 3D printing, this procedure was much easier for engineers and doctors to plan and operate. Pretty cool, huh? There are multiple types of “bio-printing” in existence today. In most of these situations, doctors will harvest cells from your body. Once harvested, these cells will be incubated, cultured, and then implanted back onto / into patients. Anthony Atala and his team are famous for starting the organ replication movement. Fortunately, there is more than just organ replication coming into play. Researchers are starting to implement skin fabrication. Sometimes patients deal with very atypical injuries, requiring specialized health care. A prime example of an atypical injury would be a burn wound. These accidents and incidents leave victims scarred for life, occasionally with irreparable damage. Through skin fabrication, doctors and engineers are working to improve the lives of burn victims around the world – all through 3D printing. 3D printing has definitely left it’s footprint in the medical world so far, and will continue to do so. In fact, it has been doing so for the past couple years. 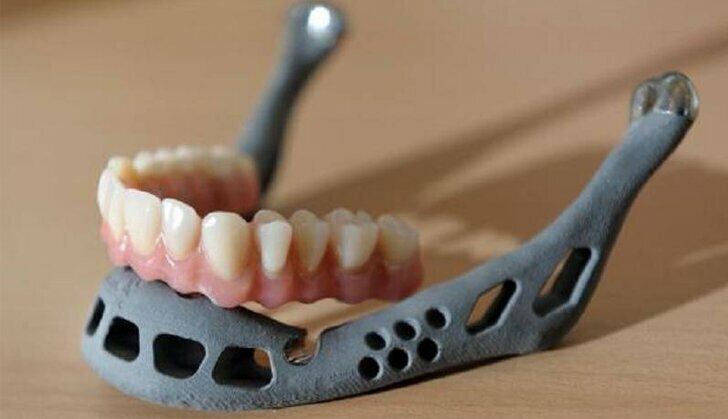 To help patients on an individual basis, various implants have been manufactured through 3D printing. There are already quite a few applications for implants. 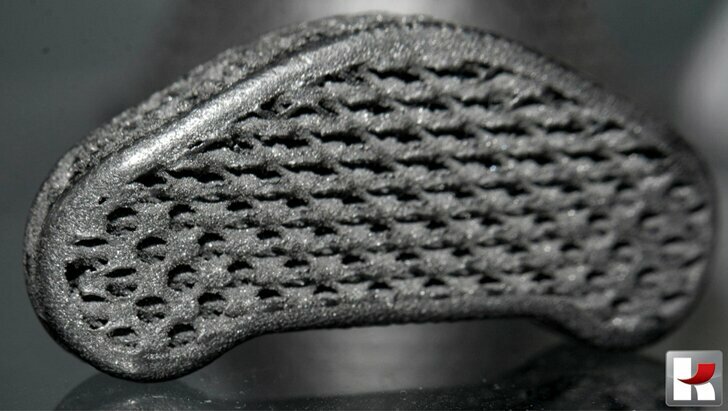 The image above features a 3D printed titanium plate, created by EOS using a DMLS process. Protecting the head is a pretty big deal, and I’m sure this patient is grateful for the procedure. I’m not super knowledgeable about hearing aids, but I know that 3D printing has played a large role in fabricating them. What happens when a seriously intricate and entirely custom piece is needed for an individual patient? 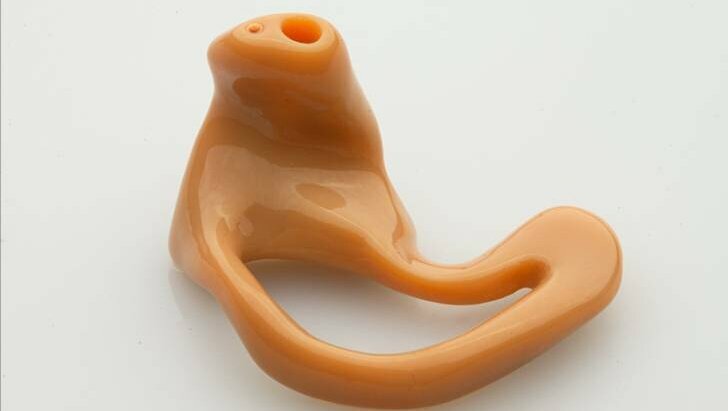 Typically, machining would come into play – but hearing aids are usually too small, too intricate, and use very unique materials. Did you know that 10,000,000 people are currently wearing 3D printed hearing aids? When a team of engineers or doctors need an entirely unique, intricate, and specialized piece – 3D printing can usually rise to the occasion. Aside from the various functional parts manufactured, there are several other 3D printing applications that appeal to the medical world. Planning is a huge deal when going into surgery; patient analysis is very crucial. 3D printing has the power to help by fabricating high quality diagrams and visuals. Traditional forms of planning have worked, but 3D printing offers an upgrade. Sketches and diagrams have worked in the past, but 3D modeling is becoming much larger now-a-days. Thanks to the availability of 3D printing, these computer models can be used to fabricate physical diagrams. There are several other procedures that have already taken place that involve 3D printed implants. When it comes down to it, 3D printing is good for creating specialized pieces that other forms of manufacturing can’t touch. Various implants have been manufactured and used through 3D printing, such as hip implants, leg implants, knee-cap implants, and the one above – spinal implants. I’m sure there will be other patient-specific cases in which very unconventional prints will come about, but as of right now the sky is the limit. Without a doubt, our generation is beginning to witness technology as it impacts the medical world. Teams of manufacturing engineers, doctors, and biomedical engineers are using various technologies to change the way in which we receive health care. One of the primary technologies used in this medical movement is 3D printing, and I strongly recommend that you follow it. Perhaps this technology will save your life someday.